Messages, Apps, Files, Photos, Music, Ringtones, Videos, Call, Call Logs, Contacts, Screenshot, Camera, Find Phone, etc. Those permissions allow AirDroid to function properly, manage your SMS, contacts, files, and locate your device, wipe all private data when your device is lost. Please note that AirDroid will never store your private data (except AirDroid account info, the latest location of your device if the Find Phone feature is activated) without your explicit consent. Modify your contacts, read call log, read your contacts, write call log. Corresponding AirDroid feature: "Contacts", "Call log"
Note: The fee of sending messages and making phone calls will be charged by your carrier depending on your subscription, AirDroid will not charge extra fees. Note: This is for locating your device when Find Phone feature is enabled. Corresponding AirDroid feature: AirDroid requires a network connection if you are using LAN Connection Mode, Remote Connection Mode, Lite Mode. Corresponding AirDroid feature: “Camera”, “Intruder” feature in “Find Phone”. Note: When you receive a call in your Android device, a notification will display on AirDroid web desktop. Corresponding AirDroid feature: “Keep screen awake” in “Settings” of AirDroid app. “Taks” in “Tools” of AirDroid app. Note: This is for detecting network connection. If AirDroid finds that your device hasn’t connected to the network, the connection between your device and PC/tablet won’t be built. Corresponding AirDroid feature: the display of battery statistics on the bottom right corner of AirDroid desktop. Corresponding AirDroid feature: Reading SD Card. Note: This will fix the issue some users experienced that they cannot sign in to AirDroid app with Google account. Note: The flashlight is for taking photos and vibration is for the vibration of launching AirDroid app. Corresponding AirDroid feature: “Task” in “Tools” of AirDroid app. “Add tool shortcut to home screen” in “Settings” of AirDroid app. “Set as wallpaper” in “Photos”. 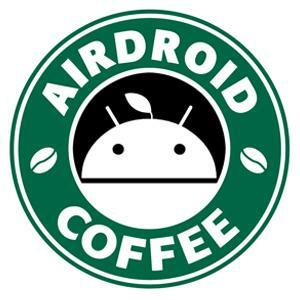 Corresponding AirDroid feature: Nearby in AirDroid Win/Mac/Android. Allows other AirDroid users who share the same Wi-Fi network find your device and share files to you. how ton install LITE MODE please?